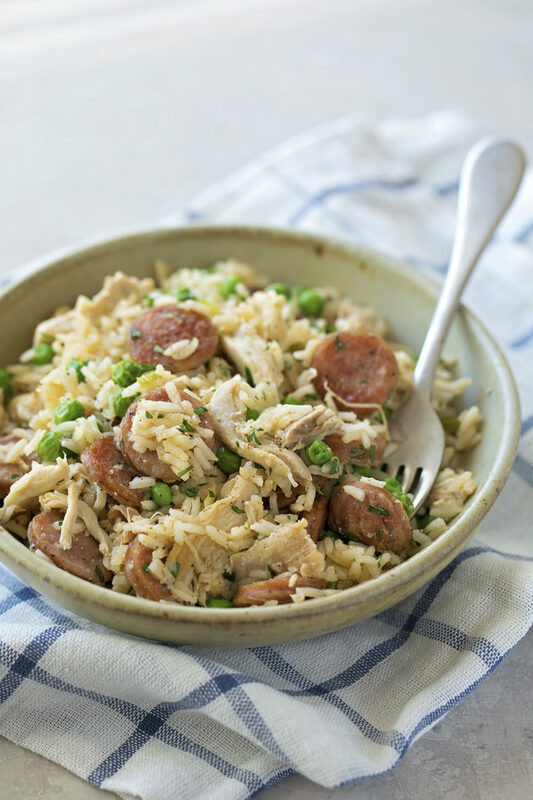 This chicken, sausage and rice skillet is perfect for busy weeknights. It’s easy to prep and even easier to make! When our family was dairy-free/soy-free for almost a year, I really struggled coming up a variety of filling meals that everyone would enjoy. Our kids aren’t picky eaters but our son isn’t overly fond of rice. Thankfully he loved this! 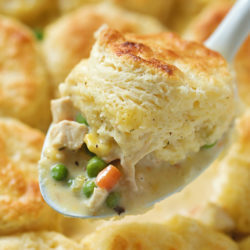 What kind of pan should you use to make this recipe? Any non-stick skillet is ideal. I personally prefer one with a large surface area. One of my favorite pans is the Le Creuset buffet casserole. It’s a shallow, wide, enameled cast iron pan that conducts heat evenly. You’ll need a cover for this recipe, so make sure your pan has one, or that you have a large piece of foil to use as a makeshift lid. What kind of sausage should you buy? 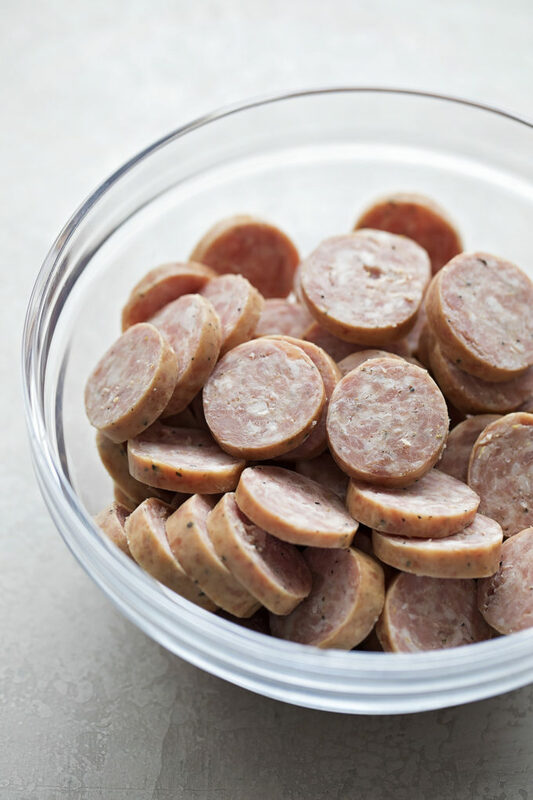 Any kind of cased, smoked pork sausage is ideal. It can be plain or kielbasa. Cut it into 1/4-inch thick slices and brown it in butter or oil. Since we wanted to keep this dish dairy-free, we stuck with olive oil, however, butter is more flavorful. One the sausage is browned, add the celery. Let it saute for a few minutes, then add the onion, shallot, garlic, and rice. Let the rice cook until it turns bright white. 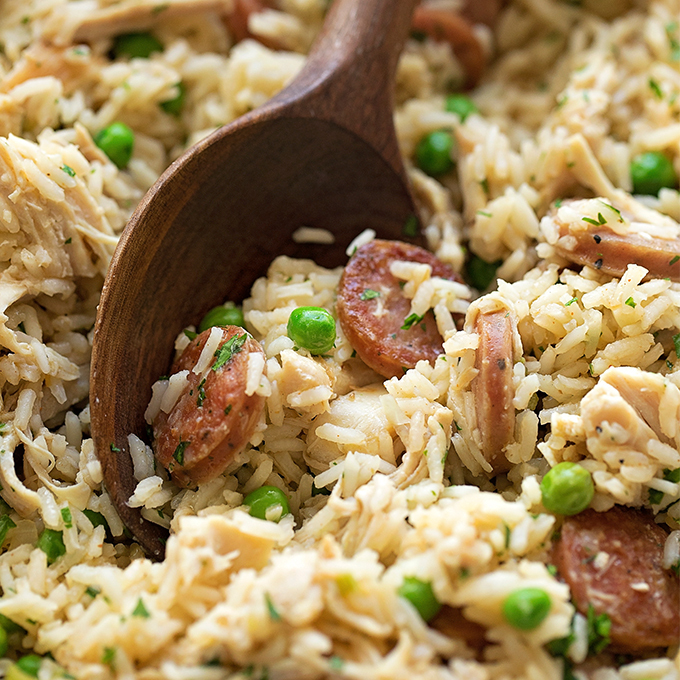 This helps add flavor and prevents the rice from becoming sticky. Slowly pour in the chicken broth, scraping the bottom of the pan as you go to lift up any browned bits that formed while sauteing. Browned bits = flavor! Sprinkle in the seasonings, bring to a simmer, then cover and reduce the heat to low. After the 15 minute mark stir in the chicken, peas and parsley. What kind of chicken should you use? If you’re in a pinch for time, grab a rotisserie chicken and use it! There’s no shame in that, I do it all of the time! If you have more time on your hands or have thighs that you want to use up, you can either boil them or cook them in the Instant Pot (4 thighs for 20 minutes on MANUAL). You’ll only need 2 cups, so keep that in mind. 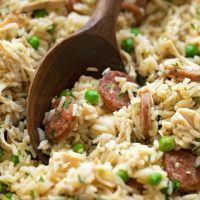 Stir everything together, then cover and cook for an additional 5-7 minutes or until the rice and peas are tender. Remove the skillet from the heat and let it stand for 5 minutes before serving. 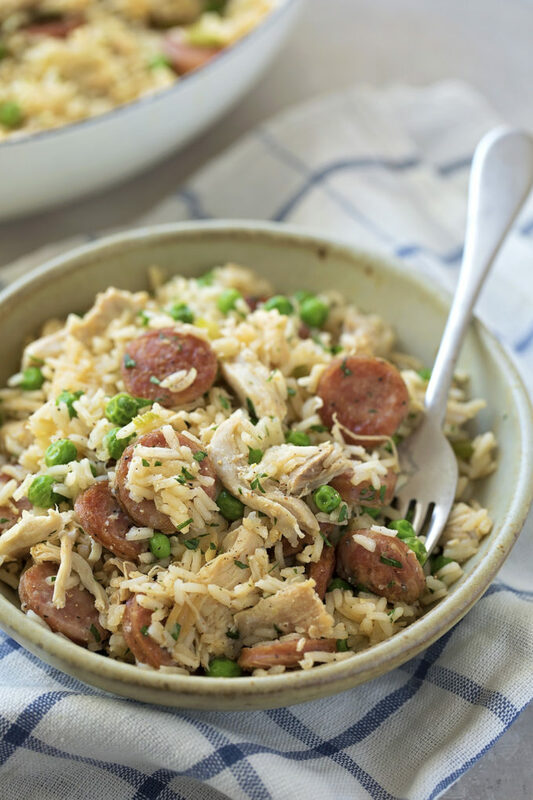 If you’re on the hunt for a quick, flavorful meal that doesn’t require a lot of effort or dirty a sink full of dishes, you need to try this chicken, sausage and rice skillet. It’s a crowd pleaser! 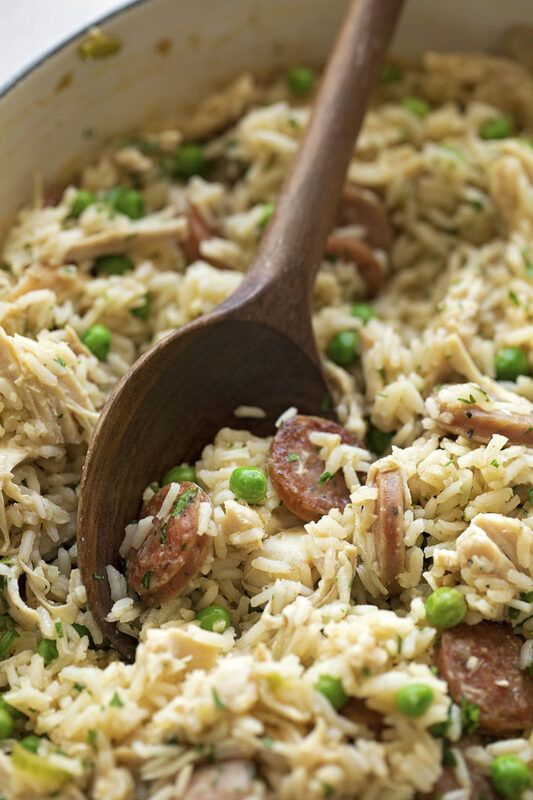 This chicken, sausage and rice skillet is perfect for busy weeknights. It's easy to prep and even easier to make! In a large skillet set over medium heat, add the butter or oil. Add the sausage and cook until browned on both sides, about 5 minutes. Add the celery and saute for 3 minutes, then add the onion, shallot, garlic, and rice. Toast the rice for 5 minutes or until it turns bright white. Slowly pour in the broth, scraping up the browned bits from the bottom of the pan. 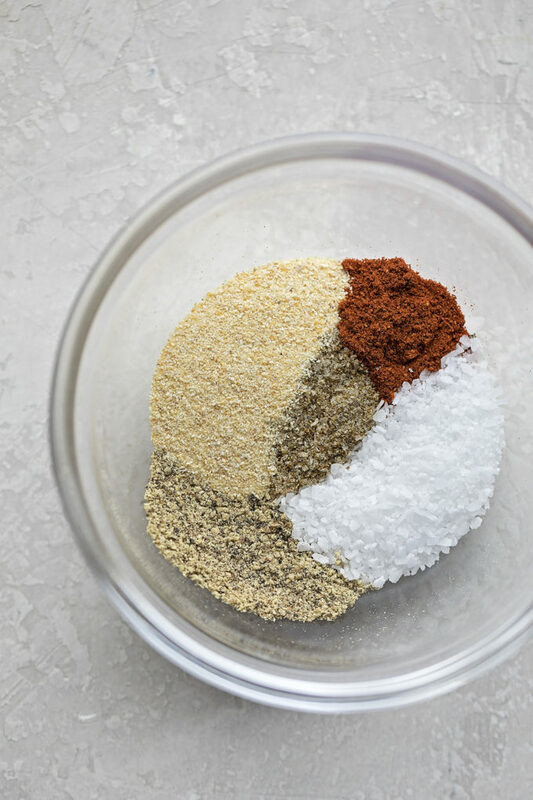 Bring the mixture to a simmer, add the garlic powder, salt, pepper, paprika, pepper, and celery salt. Reduce heat to low, cover and cook for 15 minutes. 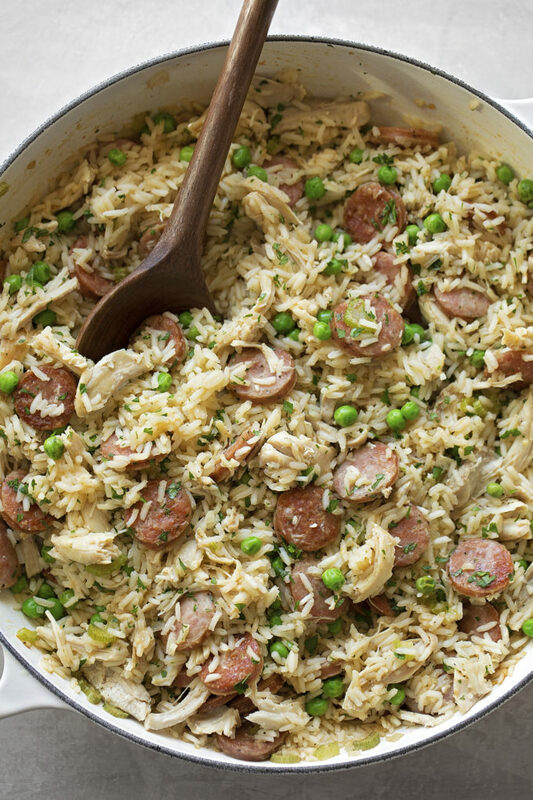 Remove the lid, add the chicken, peas, and parsley. Cover and continue cooking for an additional 5 minutes or until the rice is tender and cooked throughout. Remove from heat and let stand, covered for 5 minutes before serving. 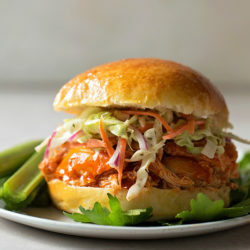 *You can use pulled chicken thighs or rotisserie chicken. 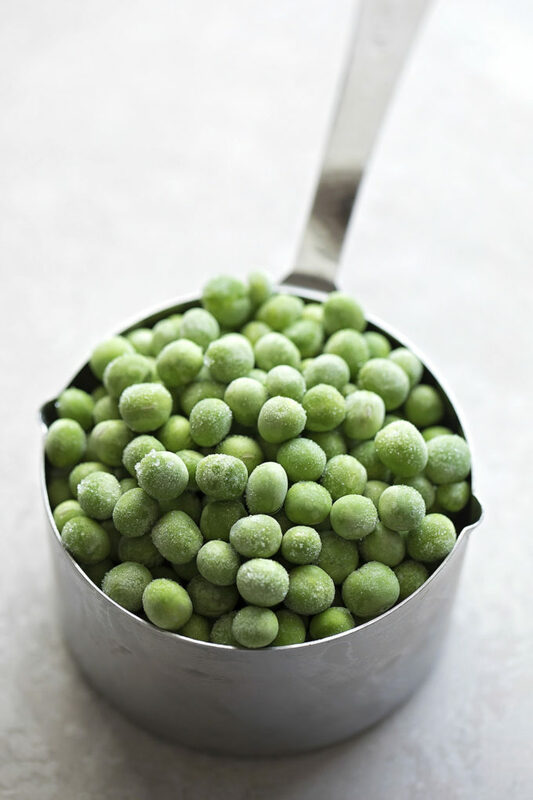 -I pull the peas from the freezer and let them thaw while I'm prepping/cooking.